The summer fires are burning again as the people of Azeroth and Outlands celebrate the warm and life of the sun, the Twilight Cult plots the total destruction of Azeroth and the Ice Lord Ahune stirs in the Slave Pens intent on ending summer for ever in eternal winter. The cataclysmic shattering of Azeroth and the continuing assault of the Twilight Cult, Deathwing and the Old Gods to bring about total cataclysmic destruction has changed the summer festival only slightly. - Ice Lord Ahune is now a level 87 elite available to 84+ (queued through either the dungeon finder or an Earthern Ring Elder) with an appropriate increase in the loot drops. This year (2011) the companion pet Ice Chip is a possible drop in the Satchel of Chilled Goods. - There are a number of fires that are not necessary for the achievements but can still award experience, reputation, gold, and burning blossoms. As in previous years there are both alliance and horde fires outside major factional settlements in Northrend. In addition there are new fires outside factional cities in the new Azeroth as well as fires in Earthern Ring centres in the new 85+ areas of Mount Hyjal, Vash’jir and Deepholm and factional ones in Uldum and the Twilight Highlands. - With the exception of Orgrimmar and Darnassus, the fires of the major factional cities (needed for King of the Fire Festival) have not changed (see guide). The Darnassus fire is now inside Darnassus in the courtyard east of the Warrior’s Terrace while the Orgrimmar Fire is now on the roof on the northern edge of the Valley of Wisdom next to the Western Earthshrine (with the 80+ portals). See below for the position of both Alliance and Horde fires necessary for the achievements The Fires of Azeroth and Desecration of the Alliance/Horde. For a fuller guide of the activities and rewards of the Summer Festival see The Flames of Midsummer. Whether you are chasing achievements, titles, gold, experience or the elite loot from the Ahune encounters remember to enjoy the journey and make friends not enemies along the way. Westfall – the fire has moved from Sentinel Hill to just north of Moonbrook, near the flight path. Ashenvale – just west of Silverwind Refuge south of Thunder Peak in southern Ashenvale (which has been captured from the Night Elves by the Horde). The summer fires are burning again as the people of Azeroth and Outlands celebrate the warm and life of the sun, the Twilight Cult plots the total destruction of Azeroth and the Ice Lord Ahune stirs in the Slave Pens intent on ending summer for ever in eternal winter. The cataclysmic shattering of Azeroth and the continuing assault of the Twilight Cult and the Old Gods to bring about total cataclysmic destruction has changed the summer festival only slightly. For a fuller guide of the activities and rewards of the Summer Festival see The Flames of Midsummer. 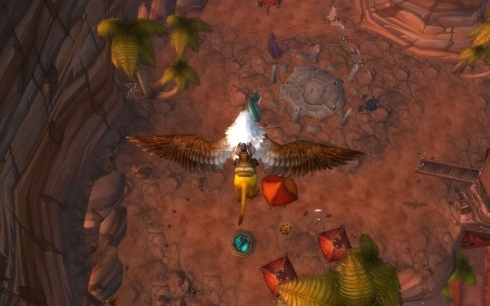 Whether you are chasing achievements, titles, gold, experience or the elite loot from the Ahune encounters remember to enjoy the journey and make friends along the way.